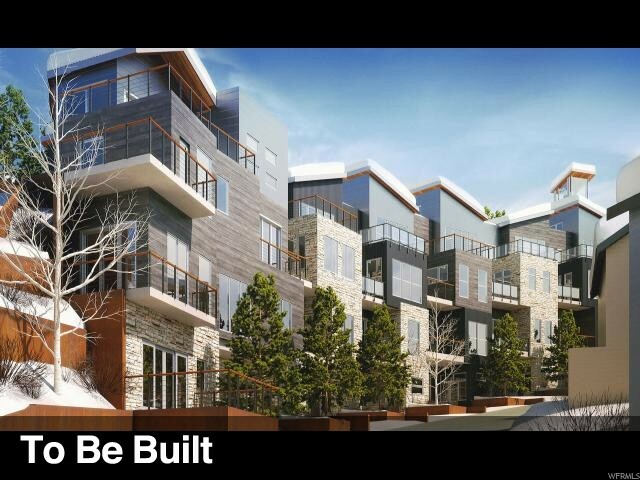 All KINGS CROWN homes currently listed for sale in Park City as of 04/18/2019 are shown below. You can change the search criteria at any time by pressing the 'Change Search' button below. "Kings's Crown is one of the last and best resort neighborhoods to be built at Park City Mountain. True ski-in/out access to King's Crown ski run or via ski tower on your street. Close to Old Town and many mountain activities. Enjoy Protected Forever Open Space directly uphill from KC. This 5-ensuite bedroom townhome has a private elevator from garage to ski access. The KC Ski Tower gives you immediate access to King's Crown Run on one side and close access to old town on the other for a year-round mountain lifestyle. A large, open floor plan with latest finishes and appliances in a stylish interior complement the many outdoor living areas. Game Room and Bunk Room offer great gathering and entertainment space. International and private airports within 30 miles." "Kings's Crown is one of the last and best resort neighborhoods to be built at Park City Mountain. True ski-in/out access to King's Crown ski run or via ski tower on your street. Close to Old Town and many mountain activities. Enjoy Protected Forever Open Space directly uphill from KC. This 4-ensuite bedroom townhome has a private elevator from garage to ski access. The KC Ski Tower gives you immediate access to King's Crown Run on one side and close access to old town on the other for a year-round mountain lifestyle. A large, open floor plan with latest finishes and appliances in a stylish interior complement the many outdoor living areas. Game Room and Bunk Room offer great gathering and entertainment space. International and private airports within 30 miles." "King's Crown is a truly connected mountain community. With skiing and riding out your door and Main Street a short walk away, this is mountain living unlike anything you've ever experienced. With minimal upkeep and a host of community features, our elegant condominiums are a great option for those who prioritize convenience. 1-4 Bedrooms, designer finishes, gourmet kitchens, large balconies with folding door systems and Old Town views give them a refined character. With 28 unique floor plans and best-in-class amenities, no two condominiums are alike. All condominium buildings have easy access to the exclusive owner amenities (owner lounge, pool, hot tub, workout, and golf/game simulator) and underground garage, and are just a short walk from the King's Crown tower and ski lounge. " "King's Crown is a truly connected mountain community. With skiing and riding out your door and Main Street a short walk away, this is mountain living unlike anything you've ever experienced. With minimal upkeep and a host of community features, our elegant condominiums are a great option for those who prioritize convenience. 1-4 Bedrooms, designer finishes, gourmet kitchens, large balconies with folding door systems and Old Town views give them a refined character. With 28 unique floor plans and best-in-class amenities, no two condominiums are alike. All condominium buildings have easy access to the exclusive owner amenities (owner lounge, pool, hot tub, workout, and golf/game simulator) and underground garage, and are just a short walk from the King's Crown tower and ski lounge. (Model open daily on site). " "King's Crown is a truly connected mountain community. With skiing and riding out your door and Main Street a short walk away, this is mountain living unlike anything you've ever experienced. With minimal upkeep and a host of community features, our elegant condominiums are a great option for those who prioritize convenience. 1-4 Bedrooms, designer finishes, gourmet kitchens, large balconies with folding door systems and Old Town views give them a refined character. With 28 unique floor plans and best-in-class amenities, no two condominiums are alike. All condominium buildings have easy access to the exclusive owner amenities (owner lounge, pool, hot tub, workout, and golf/game simulator) and underground garage, and are just a short walk from the King's Crown tower and ski lounge." "King's Crown is a truly connected mountain community. With skiing and riding out your door and Main Street a short walk away, this is mountain living unlike anything you've ever experienced. With minimal upkeep and a host of community features, our elegant condominiums are a great option for those who prioritize convenience. 1-4 Bedrooms, designer finishes, gourmet kitchens, large balconies with folding door systems and Old Town views give them a refined character. With 28 unique floor plans and best-in-class amenities, no two condominiums are alike. All condominium buildings have easy access to the exclusive owner amenities (owner lounge, pool, hot tub, workout, and golf/game simulator) and underground garage, and are just a short walk from the King's Crown tower and ski lounge. (Model open daily on site)." "King's Crown is a truly connected mountain community. With skiing and riding out your door and Main Street a short walk away, this is mountain living unlike anything you've ever experienced. With minimal upkeep and a host of community features, our elegant condominiums are a great option for those who prioritize convenience. 1-4 Bedrooms, designer finishes, gourmet kitchens, large balconies with folding door systems and Old Town views give them a refined character. With 28 unique floorplans and best-in-class amenities, no two condominiums are alike. All condominium buildings have easy access to the exclusive owner amenities (owner lounge, pool, hot tub, workout, and golf/game simulator) and underground garage, and are just a short walk from the King's Crown tower and ski lounge. (Model open daily on site)"